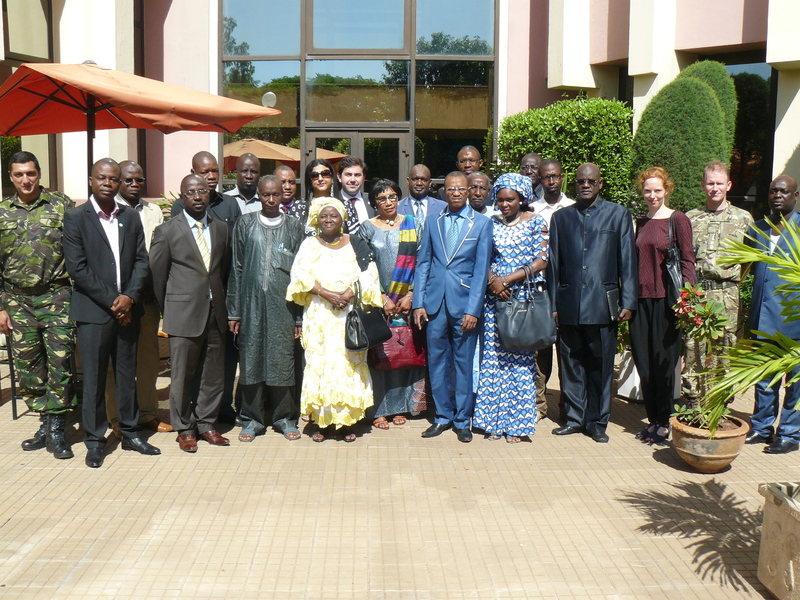 On 30 and 31 July 2015 the Global Centre for the Responsibility to Protect, in partnership with WANEP-Mali, convened a multi-actor dialogue on the Responsibility to Protect in Bamako, Mali. The purpose of the dialogue was to convene relevant stakeholders at all levels to facilitate an exchange on the Responsibility to Protect and protection of civilians in situations of mass atrocity crimes, with a particular focus on the West Africa region and Mali. Participants included representatives from the Malian government, including the Vice-President of the National Assembly and the National Coordinator for Security Sector Reform, the United Nations Multi-dimensional Integrated Stabilization Mission in Mali, the African Union Mission to Mali and the Sahel, the Economic Community of West African States, the European Union Training Mission-Mali, the European Union Civilian Mission–Sahel Mali, and a number of Malian civil society organizations, including WANEP-Mali Focal Points from Gao, Timbuktu and Mopti. The participants engaged in a wide-ranging discussion during the two-day dialogue. Topics included an introduction to the Responsibility to Protect and its implementation in country-specific situations, the Responsibility to Protect in the West African context, and the Responsibility to Protect in Mali, drawing on the country's experiences and efforts as it emerges from conflict. This discussion throughout the dialogue was both substantive and productive, and provided the impetus for additional engagement in the near future. The meeting concluded with a comprehensive Final Declaration, which includes recommendations to the Malian government, civil society, and international organizations, including the UN, AU, ECOWAS, and international financial institutions.